James is business lead for the marine science team in RPS Ireland, where he leads a team of ten in Ireland with over 50 coastal and marine scientists in Europe. 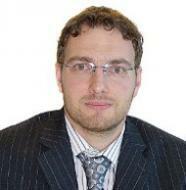 His main role is environmental consultancy in marine projects and offshore energy. James act as technical advisor on issues such as national marine policy and SEA, aquaculture, and the implementation of the Marine Strategy Framework Directive. James always had a keen interest in marine sciences: he started sub aqua whilst at school, and participated and ran marine survey volunteer projects in Belize and Honduras as an undergraduate whilst studying Applied Marine Biology at Heriot-Watt University. From there, James progressed into a PhD and consultancy work. The work is incredibly varied, but initially there was little marine opportunities, as the importance of the marine environment has increased on international agendas the work has expanded for traditional oil and gas consultancy into renewables and a wide variety of industries and research requiring assessment and sustainable development. James is a member of other institutions, but the IES is the best fit for his work. As a consultant, James is not a full time ecologist or marine scientist and most of his work is on SEA, EIA and developing marine Directives from the EU. As a result, much of his work is focused on scientific information to inform impact assessment at a project and strategic level and promote sustainable marine development. James was recently awarded Fellowship grade of the Instituion, a prestigious grade for those who have achieved distinction in the environmental sciences profession. James considers the areas of biggest impact within his career to be from his work applying environmental assessments and legislation to marine industries, adapting the principles from terrestrial ecology and developing new methods and presentation of information. A lot of the work James has done has involved the integration of GIS into the SEA process to inform marine policies and plans. This has included developing marine constraints mapping to assess and feedback into plans and programmes, particularly for renewables. He has also been involved in the development of SEA techniques, the promotion of ANSEA and moving to integrated sustainability appraisal for marine plans and policies assessment. James considered one of his most interesting projects to be the first phase of ISLES project (Irish Scottish Links in Energy Study) - an extensive feasibility study across three jurisdictions for an offshore grid – commissioned in 2010 and the final reports published in April 2012. The study concluded that an interconnected offshore electricity grid network is technically possible and would have significant economic benefits and the initial ISLES concepts, Northern ISLES and Southern ISLES, could connect 2.8 GW and 3.4 GW of generation respectively by about 2020. A number of important challenges were identified, including transbounday regulatory issues, operation of energy markets and the promotion of innovation and investment, to facilitate major coordinated development. As the Marine Strategy Framework Directive and the Marine Spatial Planning Directive come into force there will be a greater need for marine spatial planning and coherent integrated advice on marine issues to enable sustainable development of the marine environment. James hope to develop into this area from his ongoing work and have a key role in the development and implementation of these policies in Ireland. This work is in tandem with a number of marine initiatives in Europe (Horizon 2020, the EU Marine policy, etc) which are promoting a science lead approach to the management of this important part of the environment.